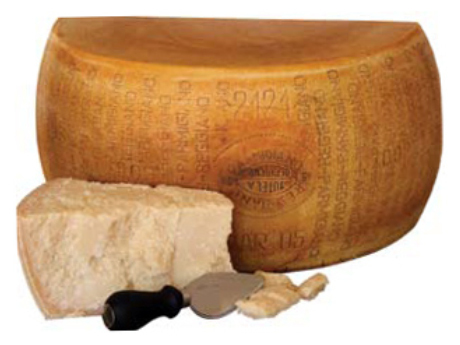 Aged a minimum 24 months, the result is a Parmigiano Reggiano known to be in-line with cheese specifically from Montechiarugolo: intensely savory, brothy and vegetal, with concentrated fruit notes like dried apricots and cherries. Latteria Sociale Santo Stefano (#2121) is located on the border of Parma and Reggio Emilia, in the foothills of the Apennine mountains. 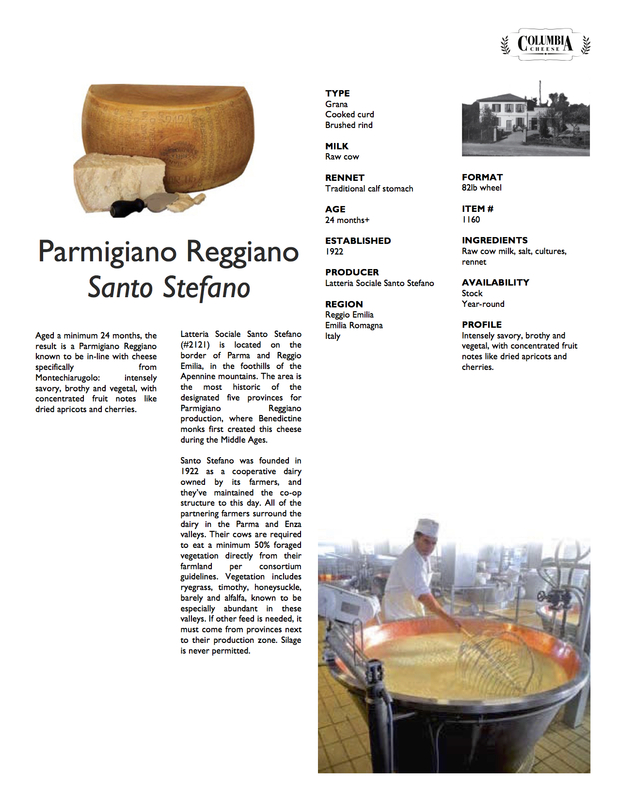 The area is the most historic of the designated five provinces for Parmigiano Reggiano production, where Benedictine monks first created this cheese during the Middle Ages. Santo Stefano was founded in 1922 as a cooperative dairy owned by its farmers, and they’ve maintained the co-op structure to this day. All of the partnering farmers surround the dairy in the Parma and Enza valleys. Their cows are required to eat a minimum 50% foraged vegetation directly from their farmland per consortium guidelines. Vegetation includes ryegrass, timothy, honeysuckle, barely and alfalfa, known to be especially abundant in these valleys. If other feed is needed, it must come from provinces next to their production zone. Silage is never permitted. PROFILE Intensely savory, brothy and vegetal, with concentrated fruit notes like dried apricots and cherries.